New photos of Black River Stadium Caravan Park at BLACK RIVER QLD added to Caravan Park Photos website. The photos were kindly supplied by our roving reporter Neville Williams in June 2013. Would love to get your review if you have stayed here. Posted on July 3, 2013 Author JohnCategories New Photo AdditionsTags BLACK RIVER, Black River Stadium Caravan Park, caravan, holiday, motorhome, new photos, our roving reporter Neville Williams, park, QLD, touristLeave a comment on New photos of Black River Stadium Caravan Park at BLACK RIVER QLD. Posted on June 27, 2013 Author JohnCategories New Photo AdditionsTags Banksia Tourist Park, caravan, HAZLEMERE, holiday, motorhome, new photos, our roving reporter Ross Bignell, park, tourist, WALeave a comment on New photos of Banksia Tourist Park at HAZLEMERE WA. 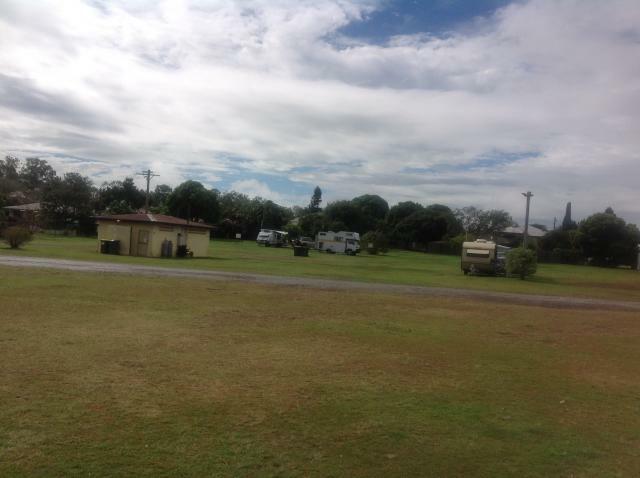 New photos of Travellers Rest Caravan and Camping Park at MIDGE POINT QLD added to Caravan Park Photos website. The photos were kindly supplied by our roving reporter Stephen Bird in June 2013. Stephen describes it as a “lovely friendly caravan park”. Posted on June 24, 2013 Author JohnCategories New Photo AdditionsTags caravan, holiday, MIDGE POINT, motorhome, new photos, our roving reporter Stephen Bird, park, QLD, tourist, Travellers Rest Caravan and Camping ParkLeave a comment on New photos of Travellers Rest Caravan and Camping Park at MIDGE POINT QLD. Posted on June 19, 2013 Author JohnCategories New Photo AdditionsTags caravan, GERALDTON, holiday, motorhome, new photos, our roving reporter Ross Bignell, park, Sunset Beach Holiday Park, tourist, WALeave a comment on New photos of Sunset Beach Holiday Park at GERALDTON WA. Photo kindly supplied by Arthur Graham. New photos of Gin Gin Showgrounds at Gin Gin Queensland added to Caravan Park Photos website. The photos were kindly supplied by our roving reporter Arthur Graham in June 2013. According to Arthur the cost of a powered site is $18 per night. Gin Gin Showgrounds could be a good overnight option when travelling south or north on the Bruce Highway. If you have stayed here please share your experience? Posted on June 16, 2013 Author JohnCategories New Photo AdditionsTags caravan, Gin Gin, Gin Gin Showgrounds, holiday, motorhome, new photos, our roving reporter Arthur Graham, park, QLD, touristLeave a comment on New photos of Gin Gin Showgrounds at Gin Gin Queensland.